Hardcover, 9 x 12 in. / 120 pgs / 45 color / 5 bw. 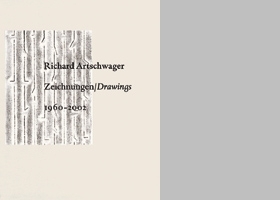 Essays by Dieter Schwartz and Michael Semff. 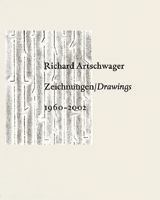 Known for making furniture sculptures out of laminate and painted wood, Richard Artschwager here picks up a pencil and draws. For the first time, a large selection of the artist's works on paper appear in print, testing his object-based criticism of illusionism and symbolic meaning. Made between 1960 and 2000, these drawings and paintings range in subject, including recent portraits that bear an unsettling intensity. FORMAT: Hardcover, 9 x 12 in. / 120 pgs / 45 color / 5 b&w.